A good night’s sleep has long been tied to positive development in children. But, in 2016, the American Academy of Sleep Medicine released new recommendations that teens should sleep about 10 hours per night, and younger children should sleep even longer. Now, districts across the country are examining their school day schedules to determine if they can better balance students’ biological and academic needs. Naperville Community Unit School District 203, a district of roughly 17,000 students in suburban Chicago, took it one step further—pledging to make the study of school start times and their effect on student performance and staff collaboration major points of discussion in their Strategic Blueprint, which outlines several initiatives through 2020. “Our goal was to make a recommendation to the Board of Education by 2018 on any changes. We created research groups and studied school start times, looked at pediatric studies, to really get an understanding of what options we needed to examine,” said Michelle Fregoso, director of communications for Naperville 203. Beginning in the spring of 2016, Naperville 203 partnered with K12 Insight to conduct a School Day and Calendar Research Study. In collaboration with the district, K12 Insight developed a survey instrument to gather feedback from students, staff, parents, business owners, and community members on the school day schedule and the district’s yearly calendar. Potential changes included a longer elementary school day and later start times for middle and high schools. From the study, the district learned that they had the support of the majority of students, staff, parents, and community members for later start times for middle and high school. Following the study, in March of 2017, as a result of the community’s feedback and new science about sleep requirements, the Naperville 203 School Board decided that all high schools would start later one day per week, beginning with the 2017-2018 school year. 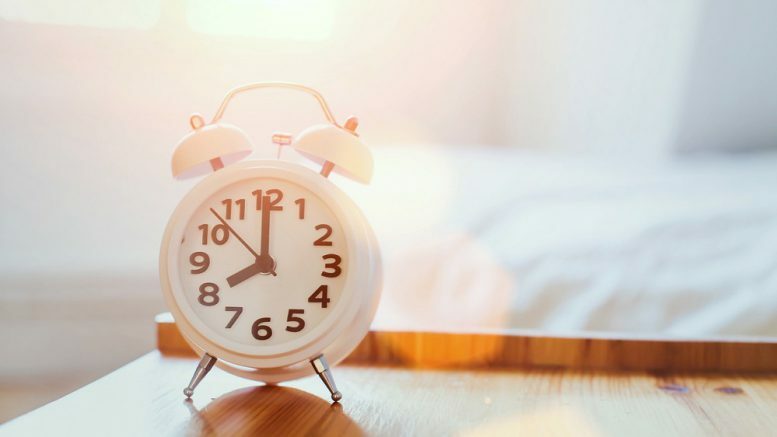 The district acknowledges that starting later one day per week will not solve the sleep requirement issue, but it will allow school leaders to further evaluate and continue studying the impact of the change. As they do so, the district may well make additional changes. School leaders also will examine how the late start will impact time for enhanced staff collaboration. Be the first to comment on "Propose school start times with community support"